the xray doctor: Should non-radiologists be using ultrasound? Should non-radiologists be using ultrasound? 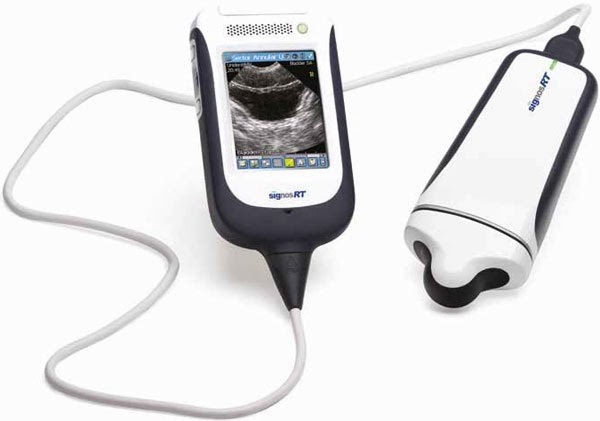 Cardiologists and obstetricians already use ultrasound (US) in their routine clinical practice, but should we be encouraging other specialties to grasp a transducer and start learning how to scan? This article in Aunt Minnie summarises the latest issue of the journal Global Heart, in which there are several articles about the use of point-of-care US. Overall, I am an advocate for extending use of diagnostic techniques such as US into clinical areas where they can be a powerful adjunct to routine clinical examination. The use of bedside echocardiography, as cited in the article, is a great example. Immediate and timely decisions can be made by having the skillset to perform the US. I also feel that the old (artificial) divisions between clinical medicine and diagnostics need to be broken down. There is increasing crossover between these two entities, and we are now seeing a generation of medics emerging who are taught that using US to evaluate a pleural effusion or intraperitoneal fluid is an extension of the clinical examination, not simply a confirmation or refutation of a differential diagnosis. However, we must exercise caution and not allow unregulated use of US by operators not adequately trained. US may look easy but there is a learning curve to be scaled. I have experienced poorly used US by emergency physicians, such as when a colon loaded with faeces is labelled as an abdominal aortic aneurysm, or a renal cyst is labelled as free fluid in the hepatorenal space. It is not enough to buy an US machine, look at some pictures in a book and then start scanning. This will invariably lead to significant errors and will impact negatively on patient care. Finally, training as a radiologist or a sonographer involves not only acquisition of knowledge of expected pathology, but also of unexpected pathology and what to do next. This is why a comprehensive assessment by a trained radiologist or sonographer cannot be replaced by focussed point-of-care US in appropriate clinical contexts. Education about imaging techniques is increasingly recognised as an important facet in medical school curricula; I hope that the introduction of practical US training means that the next generation of medics feel comfortable and confident in using point-of-care US on wards and in clincs.